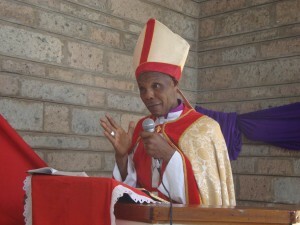 Bishop Zachariah Kahuthu was elected to the office of Bishop in July 1991. 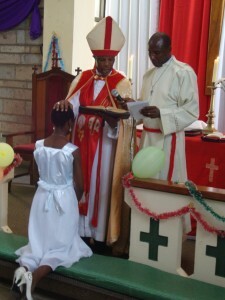 Originally the bishop of the Kenya Synod of the Evangelical Lutheran Church in Tanzania (ELCT), Bishop Kahuthu oversaw the transition of the church from a synod of ELCT into an independently registered church, Kenya Evangelical Lutheran Church (KELC). KELC was registered in Kenya on February 20, 1992. 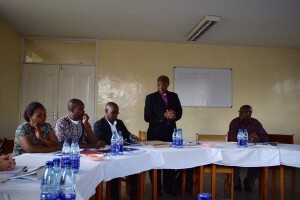 Bishop Kahuthu is instrumental in providing spiritual guidance throughout the church, especially among church leaders. The Bishop frequently leads worship and preaches sermons in congregations around the country, as well as presiding over pastoral ordinations, confirmation services, baptisms, and other religious ceremonies of the church. The Bishop is involved in all aspects of the daily life of the church and strives to create a lively, responsive church that fulfills the spiritual and social needs of KELC’s members.